Flamborough Rock Cottage is perfect for year round holidays on the Yorkshire Heritage Coast. Located just north of Bridlington, the cottage is ideally situated for exploring the wildlife rich Flamborough headland, Bridlington and the Yorkshire Wolds. The area is a bird watcher’s paradise with RSPB Bempton Cliffs just a short drive away, several beaches and scenic walks to choose from, golf courses nearby as well as many local attractions to visit. 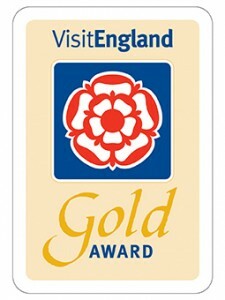 The cottage is spacious and comfortably furnished to a high standard throughout which is reflected in the 3* Gold Award from VisitEngland assessors. With four bedrooms, three bathrooms, a charming living room and a fully equipped kitchen, it’s fantastic for a group or family holiday. The facilities are suitable for mobility impaired people, please find the access statement here. We welcome all pets at a small extra charge. Flamborough Rock Cottage is available to rent all year with short breaks bookable throughout most of the year. 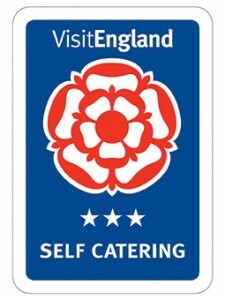 We look forward to welcoming you to Flamborough Rock Cottage!